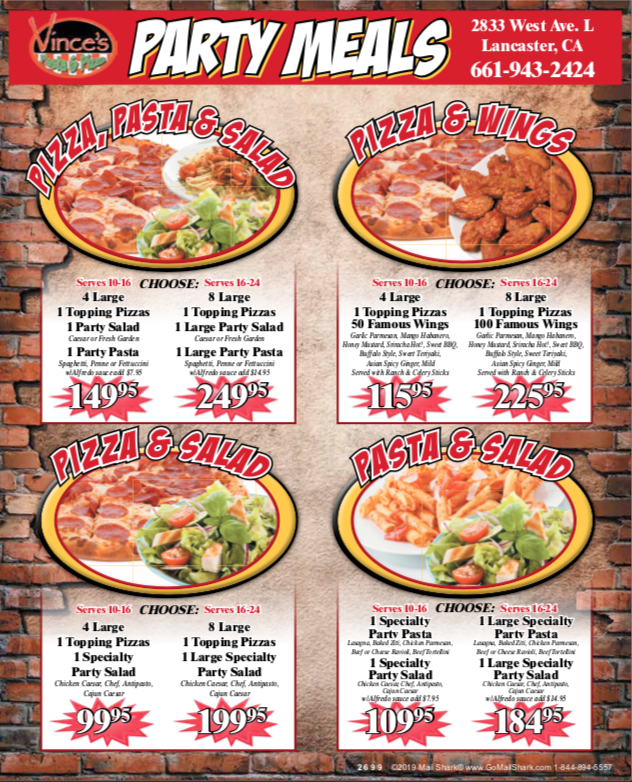 Make Vince’s Pizza your next get together! 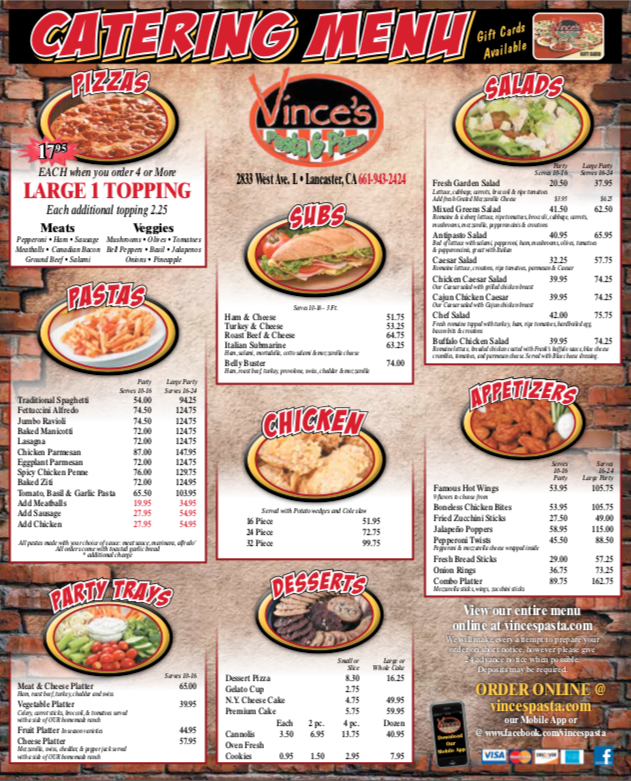 Whether you’re having a family night out, a party, event, or meeting, there’s no better answer for feeding a bunch of hungry people than your favorite pizza, pasta, and more from Vince’s. We are here to feed your group or family, no matter how large or small. “I bring my family at least once a month. The staff is friendly and the food is delicious!! It’s very spacious for parties. You can’t beat the prices and the arcade keeps the kids busy.” – Maria R.
Catering and Party menus require 24 hour notice and deposit in most cases. Earn valuable points every time you dine at Vince’s Pasta & Pizza (buffet, carry out and delivery) and redeem rewards for money off our legendary food and beverages through VIP Rewards. Recieve Special offers, ANNIVERSARY Gifts, Free Birthday pizza on your birthday, discounts, and more. Not a member of Our VIP Rewards? Sign up today and start earning VIP Rewards points.